A Toyota Camry rally car, a 2,000 horsepower ’68 Charger, an AWD ’32 Ford Roadster and a 1,000 horsepower minivan. 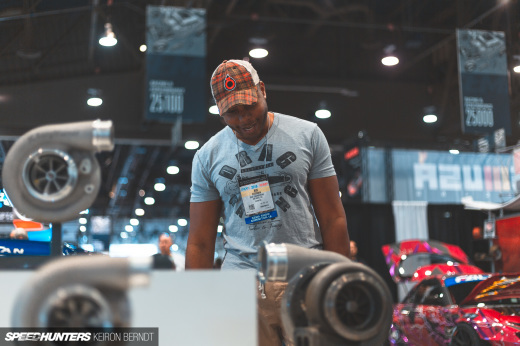 For me, that sort of stuff describes SEMA in a nutshell – and those are some of the vehicles you are about to see. 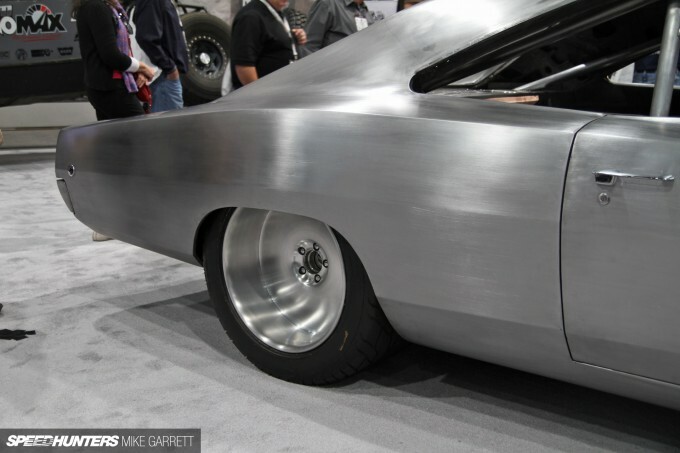 After a little deliberation, we decided the best way to start our breakdown of the 2013 SEMA Show was to do the simple thing and post some of the craziest, most innovative and just plain coolest cars we’ve found so far. Let’s waste no more time and begin with some of my personal early favorites from SEMA ’13. What you are looking at here is a Toyota Camry: one of the best selling vehicles in the United States, and the kind of car you’d probably recommend to someone who thinks of driving as a chore. Well, driving this Camry seems like it’d be anything but! 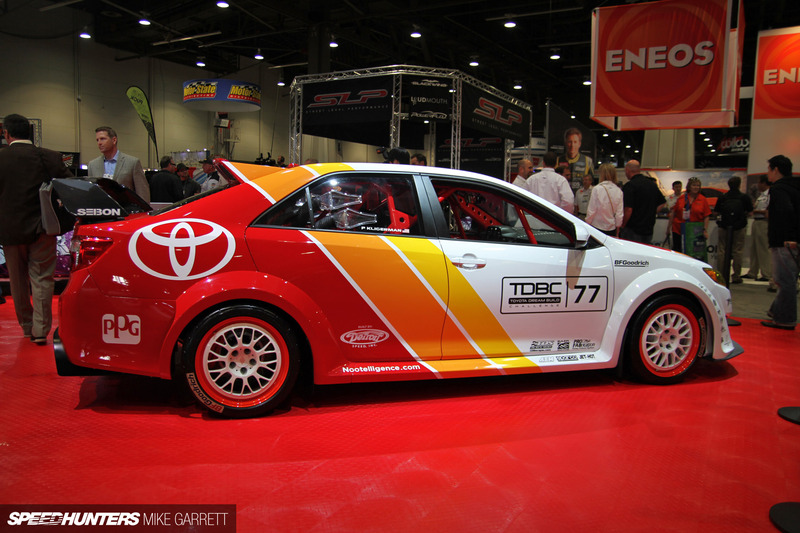 Found in the Toyota booth, the CamRally is the brainchild of Parker Kligerman – an up and coming NASCAR driver who just made his Sprint Cup debut this past weekend in Texas. Parker’s a true car guy, and this Camry shows why. The look of the car is perfect, with aggressive bodywork and a spot-on rally vibe that’s accented by the classic TRD livery. 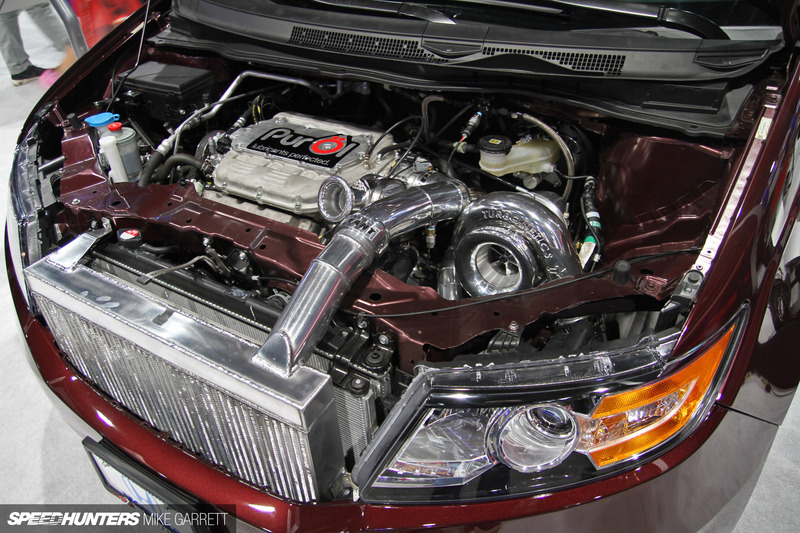 Power comes from a Toyota V6 fed by a Turbonetics turbocharger. Wheels and tires are an important part of the package, and the Camry is running a set of proper Formula 43 wheels with BFG Rival rubber. And while you might expect this to be a ‘show-only’ concept, the car looks like it’s built for legit competition. Perhaps Parker will get a chance to take it out during this upcoming off-season? Can you imagine how cool this thing would look kicking up a dirt in a forest somewhere? Next up, we move to the staple of the SEMA Show – the pro touring muscle car. Each year the show is full of them, and there are always a few that stick out from the crowd. 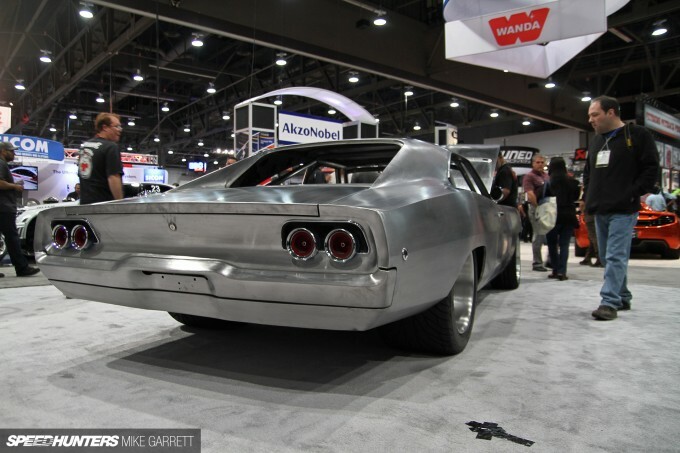 This is Maximus, a 1968 Dodge Charger built by Scott Spock Racing and Nelson Racing Engines. Unlike some of the more polished show cars on the floor, this Charger is still a work in progress. If anything though, the unfinished look just makes the car cooler. 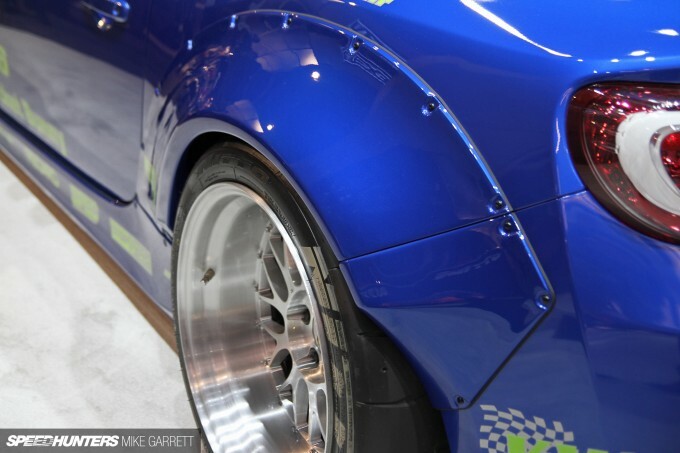 The custom-widened body has over 1,500 hours of metal work in it, and the new chassis is said to be 400 percent more rigid than the original. 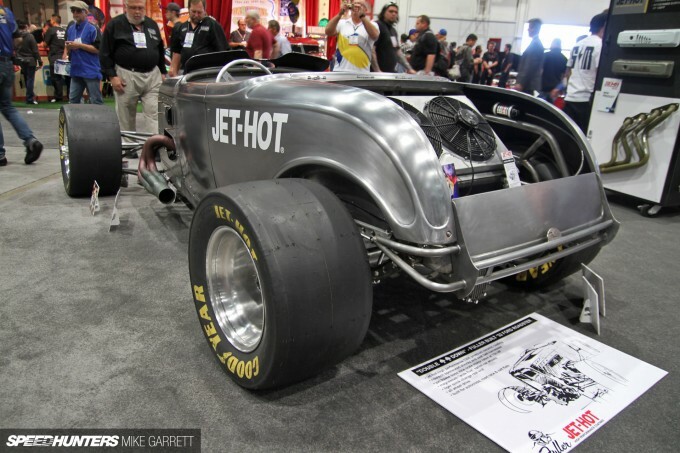 It’s powered by a 9.4 liter Hemi V8 with two turbochargers and two intercoolers. Horsepower settings can be adjusted from the cockpit to anywhere from 600hp to its maximum output of 2,000hp. It also features a GPS-based traction control system. 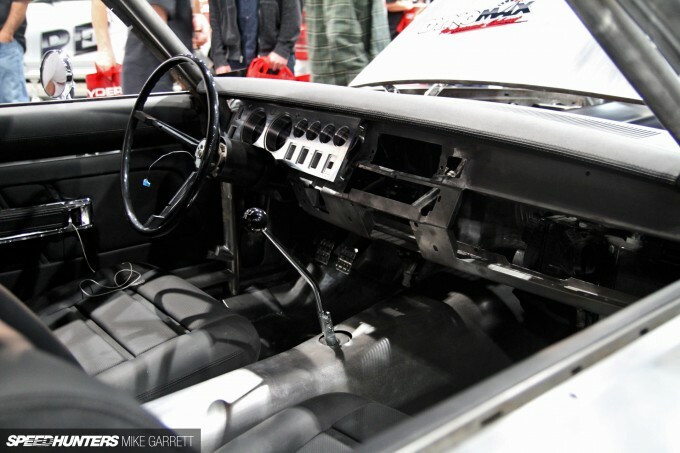 Once the car is complete, the Charger will be capable of eight second quarter mile times and a top speed of 200 miles per hour. 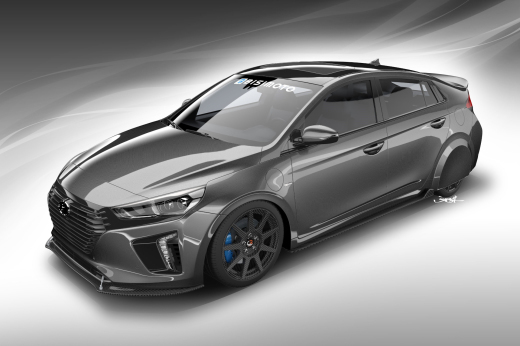 With the addition of a custom aero kit that’s also being developed, the top speed will be upped to a ridiculous 260 miles per hour. Insane. Speaking of insane, here’s another one of this year’s high horsepower creations. Rather than taking the form of a high end exotic or classic muscle car, this one is built out of a minivan. Say hello to the 2014 Honda Odyssey from Bisimoto Engineering. 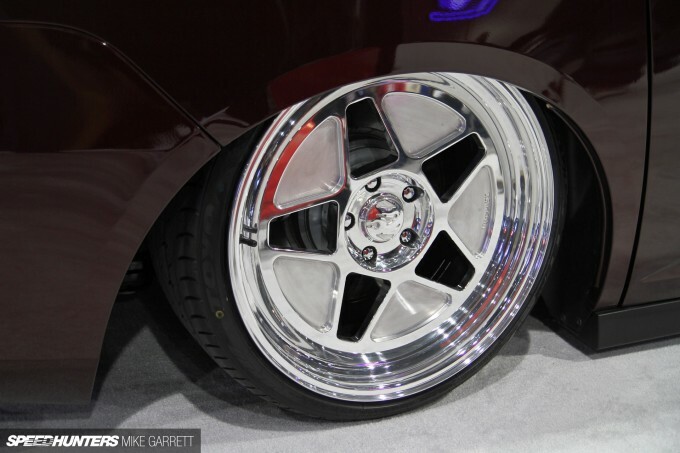 … and a set of 20″ Fifteen52 wheels with Toyo tires. 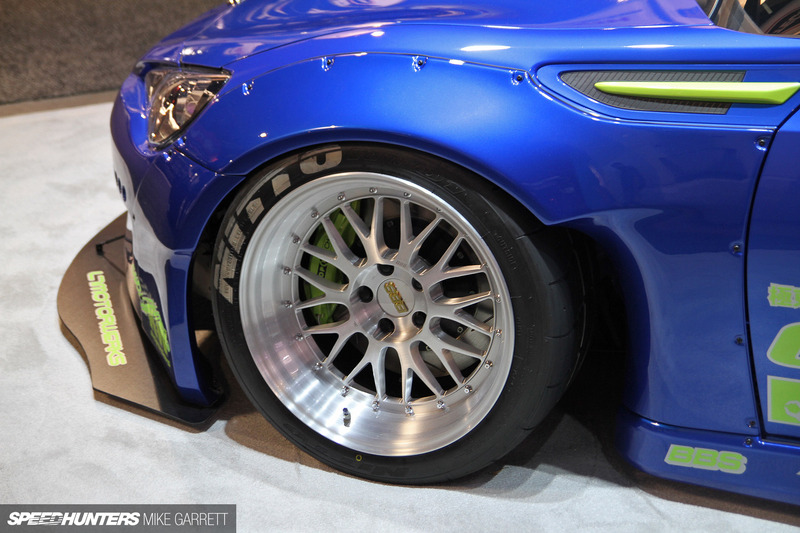 But of course this is a Bisimoto build, and that means it does a lot more than just look cool. The V6 under the hood has been fully built and like all of Bisi’s creations, the van is built with the #WeHaveBoost mindset. A Honda Odyssey with four or five hundred horsepower would be pretty damn special, but when all is said and done this van is making an astonishing 1,029hp. Needless to say, we are doing our best to get a hold of this thing for a full feature. 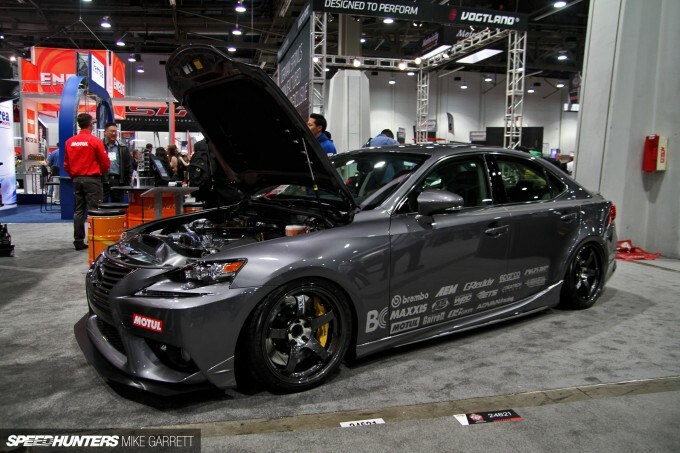 The all new 2014 Lexus IS is another one of the popular platforms at SEMA this year, with many different modified versions being spread around the show floor. And while most of the them are more cosmetic-oriented builds, the ‘IS340′ from Phillip Chase and Evasive Motorsports is more substantial. 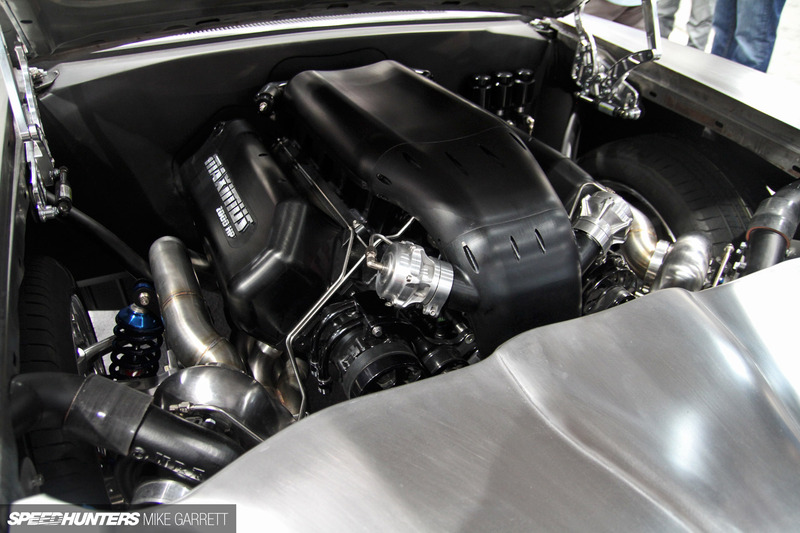 The 340 in its name comes from its engine displacement, but unlike the normal IS there’s no V6 in this engine bay. That’s a fully a built 2JZGTE with a Brian Crower 3.4 liter stroker kit and a Garrett GTX3582R turbocharger. Better yet, the engine is mounted to an R154 manual transmission. 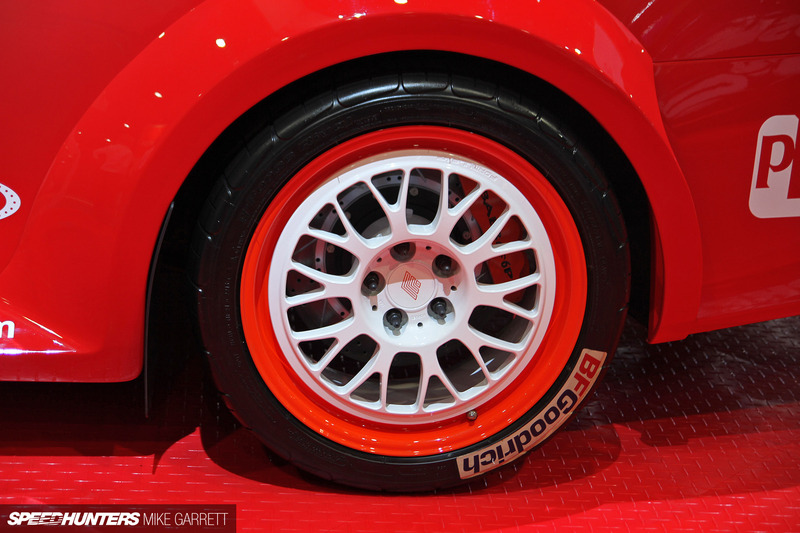 Other work done to the car includes a subtle Modellista five-piece lip kit and a set of Advan TCIII wheels with Brembo brakes. To me there’s just something great about seeing the newest Lexus sport sedan being paired up with one of Toyota’s most proven and popular engines. Old meets new. Given the massive popularity of Rocket Bunny body parts both at SEMA Show and around the world, there was no way I could do this post without including a 6666-equipped car. There’s no shortage of Rocket Bunny kits around these days, but this World Rally Blue BRZ might just be my favorite application of the formula yet. Despite the fact that it seemingly just came out yesterday, this was one of a few cars at SEMA wearing the V2 edition of the Rocket Bunny kit. It looks fantastic in person. I’m not sure whether it was the big-lipped BBS wheels, the unique color combination or something else, but there was something especially cool about this car. As they say, things are popular for a reason and I think this little Subaru should be enough to make a Rocket Bunny believer out of anyone. Last but not least, we what’s surely one of SEMA 2013’s most impressive builds – the Double Down ’32 Ford Roadster from Fuller Hot Rods. Its powered by a 750 horsepower John Kaase Boss Nine crate motor, which is based on Ford’s legendary Boss 429 big block. But that’s really just the beginning. The thing that truly sets this roadster apart is the fact that its 750 horses are sent to the ground using a custom-built AWD system. Here you can see the front differential protruding from the grille and the enormous Goodyear slicks mounted on sprint car wheels. Other goodies include AP Racing brakes and a rear radiator set-up. 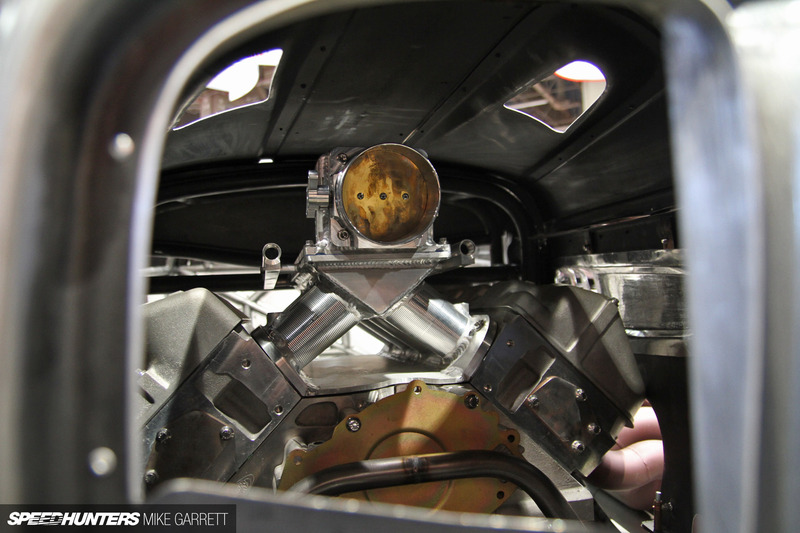 Once the car is complete, plans are to take the ’32 to Bonneville and to various autocross and open track events. 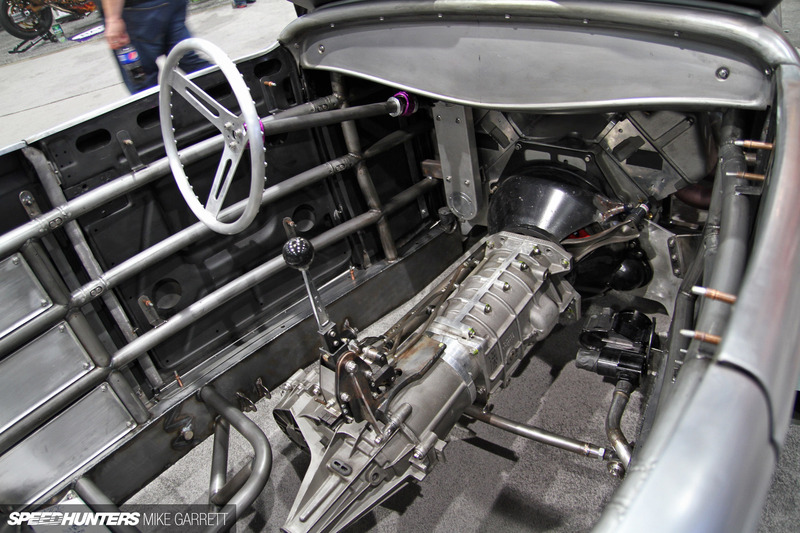 It’s a gearhead’s dream, much like the SEMA Show itself. That will do it for now, but we have plenty more coverage from Vegas on the way. F*ckin' Bisi... That dude never quits with that outside-the-box stuff. I love how most of his builds consist of cars you'd never expect someone to build. He's doing his part to keep the Honda flag waving, that's for sure. I'm so tired of Rocket Bunny BRZ's/86's. Bring on the Rocket Bunny FD3S! NRE ... just these three letters mean a riddiculous ammount of Horsepower under the Hood ^^ really like the Bodywork and the engine bays from NRE Cars are so damn clean and good looking. 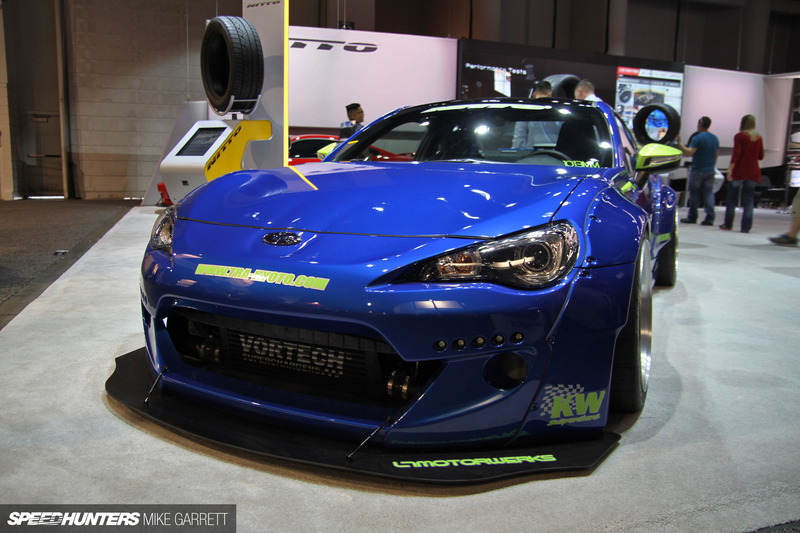 I could do without seeing a single Rocket Bunny anything in this coverage. I know its the hot ticket now but jeez Louise its called over-saturation at this point. The Camry? I'd be interested in seeing all that bodywork get completely ruined on its first dirt road Its got the same fitment as my lowered Prelude.....meaning the complete opposite of something rally-worthy. I unfortunately surmise that the guy threw a HEAP of cash away on that project. Meanwhile, Bisimoto reminds everyone that your average Honda grocery-getter has the ability to destroy your mind while never even getting looked at once. Mad props! i think toyota should bring over its rwd family of cressidas and such from japan and just start selling them here in the US instead of glorifying the camry. d_rav Well, the idea was to take a "boring" family sedan and do something interesting with it. In that case, mission accomplished, right? D1RGE That Camry will NEVER see a speck of dirt! Guaranteed. Is that Camry an automatic? Brian Fuller is my Hero. You guys should stop by the Mercury Marine booth. A friend of mine is an engineer for them and they put one of their 1650hp racing engines in a Ultima GTR chassis. Can you elaborate on what a GPS-based Traction Control System is please? I can't even begin to understand how that would work! Mike Garrett d_rav it is probably the first exciting Camry I've ever seen. apart from some cool VIP versions. TomHowardBasically the GPS system scans the road ahead and determines how much traction will be needed factoring in parameters like road surface, driving style etc. .
That didn't take long for someone to do a 2jz swap in the new IS. @Alex Are you sure? I thought it would be a V8 similar to the one of the S14. 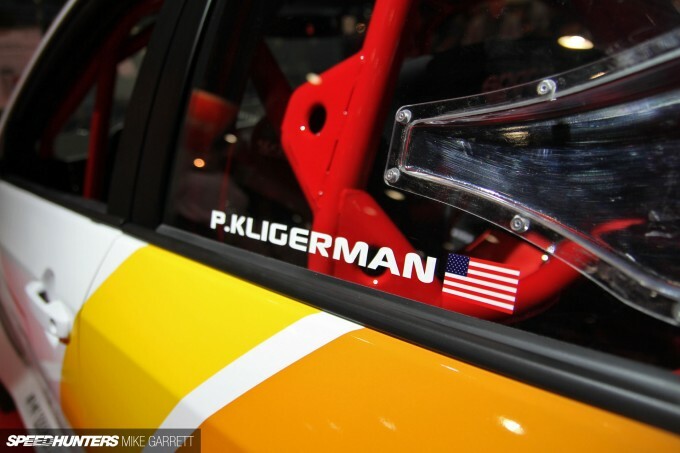 D1RGE So rally car, waste of money, 1,000hp minivan, great success. Alrighty then. I want that Odyssey as my daily! I also think they should've stuck to using the V6 in the Lexus, kinda bored of 2JZ swaps. Obviously a lot of work was put in that Camry, but more so than a stanced 1000hp minivan, I don't get it. That looks like the stock auto shifter and keyfob, it's lowered onto semi slicks and has front diffusers that looks more at home on a track build. Good luck throwing it around any dirt corners with all the power, steering and weight at the front. 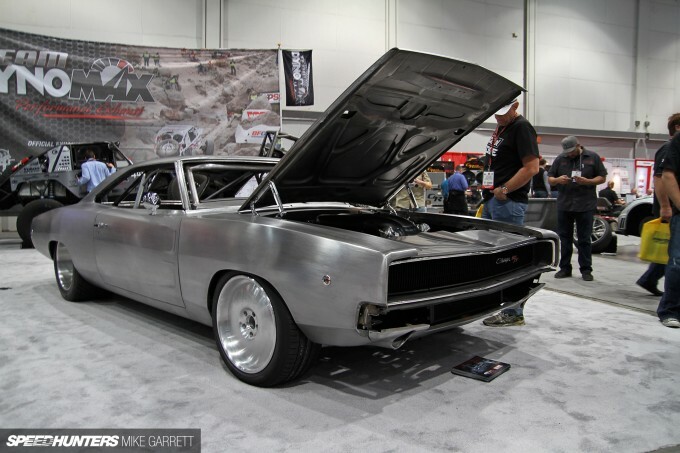 The Charger looks absolutely stunning, I hope they leave the raw brushed metal look, any chance we'll get to see a peak into the work put into this chassis? Luka024 D1RGE No. *sigh*. The "rally car" has street fitment and will never be used for it's built purpose: to be abused. Its obvious from just looking at the wheels. They did so much work and left that one detail hanging out like their shirt untucked. Bisi took a car that nobody would ever consider, then make it powerful as hell. It already got driven to SEMA and will see duties for the next few years as (another) insane build THAT WORKS AND GETS USED. And Bisi spent a TON less. LMAO!!! This is what happens when Toyota and a NASCAR racer get together on a rally project! A turbo V-6 mounted well ahead of the front wheels, FWD and bone stock automatic. That's foolish enough as it is, but then use a sloppy disconnected Camry to bomb through the woods. Just goes to show just how out of touch Toyota has become. Good thing Subaru reminded them of their own past for them. I'm all about thinking outside of the box with crazy new idea's, but ideas that make sense. I agree, this will never see a gravel road, and if it does, it won't last long. that inlet on the charger is amazing its so smooth and elegant it looks like pure evil, but in a little black dress, and a cracking rack, you know its going to kill you, slowly and very painfully but your still locking forward to it. 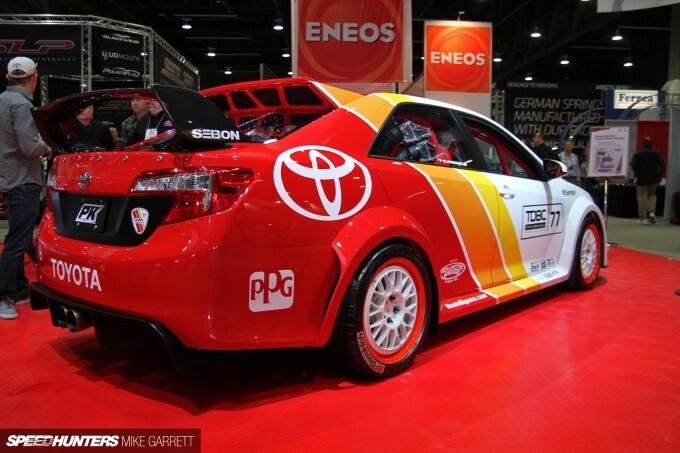 Out of touch by thinking that the Camry would be a good substitution for a rallycar, when they have the FRS and new Corolla which would be much better candidates. It's all just a big marketing ploy to sell the Camry, which means Toyota are thinking more corporate gains than appeasing enthusiasts and loyalists. Yes, its just a show car and yes I am bias, I wouldn't be so disappointed if it were say a Touring Car and sported a proper manual. You said six cars, but I only see a Charger. 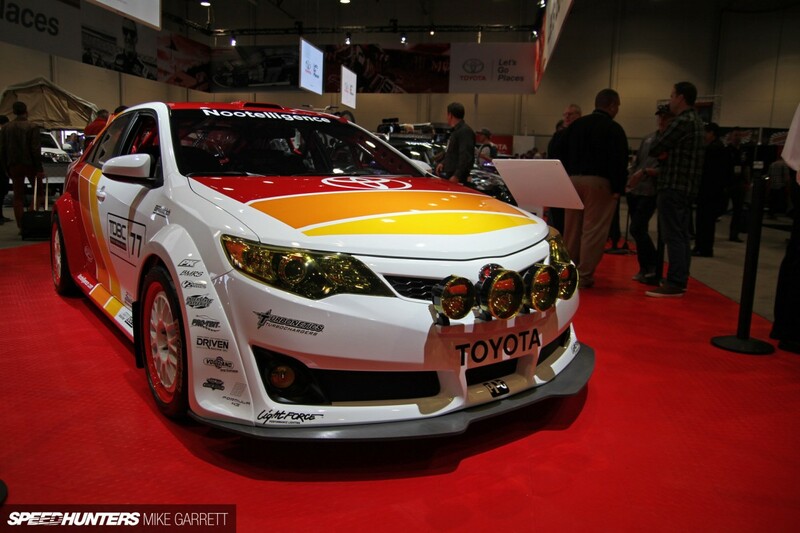 Rally Camry, really cool concept. Charger, looks awesome with bare metal. Odyssey, very unique, 1000hp is crazy for a minivan. Lexus IS, 2JZ!!! BRZ, Love it, love it, amazing. 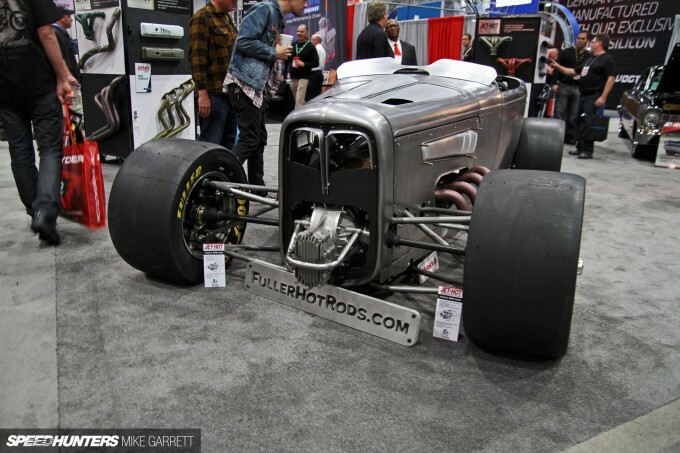 Hot Rod, cool to see a AWD Roadster. Jet-Hot finally made it on Speedhunters. You guys gotta go check out the warehouse in Burlington, NC. I used to be an engineer there & the owner has the best collection of hot rods & muscle cars EVER! I agree, SEMA is all about marketing. However, there are some serious motorsport machinery there as well, and as this is a rally project, the simple fact they left it an Auto, let alone is a Camry, is enough to see that they don't take it seriously at all. No prospective rally driver will ever mimic this. A RWD V-8, now that I can get behind. wheatgod Budd19 Why does everything has to be RWD? All you need is a manual as the guy above me said, and perhaps have it as a touring car instead of a rally car and its good to go. Sheesh people, relax - not everything is supposed to be drifted...this is not 2003 anymore. koko san Mike Garrett d_rav What about the touring cars of the 90s? Mike Garrett d_ravi got my attention but i think hyundai wrc cars have more street cred then the camry. but then again i'll eat my socks if the camry shows up to any event and wins. @MrFabulous is it a 2 stroke? that would be so fun to see tear up a track! apex_DNA wheatgod Budd19 Budd isn't saying it has to be a RWD drift monster, but something different from the norm would be great. The amount manufacturers that have trotted out a rally prepped cardigan at a show like SEMA must be in the hundreds by now. 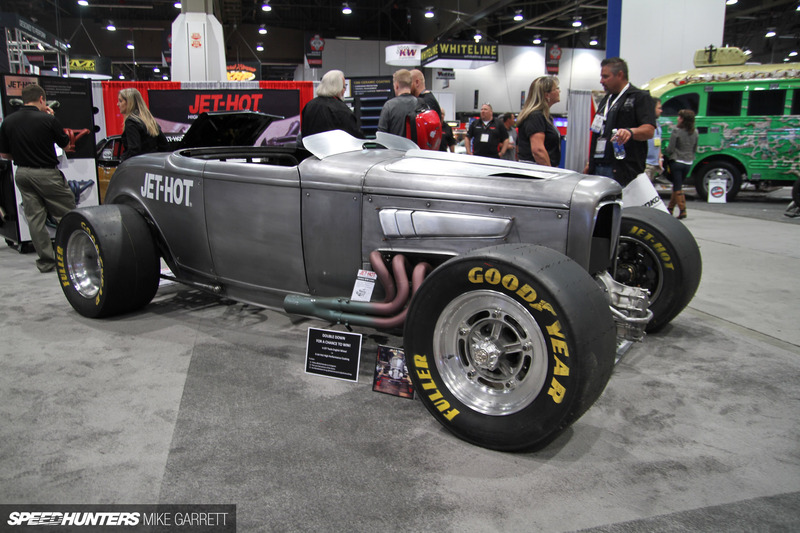 That '32 roadster is just too badass, I've always wondered how they would look with wide wheels all around. Now just put on some street tires and I'm sold. I want to see Double Down take a trip up Pikes Peak!!! 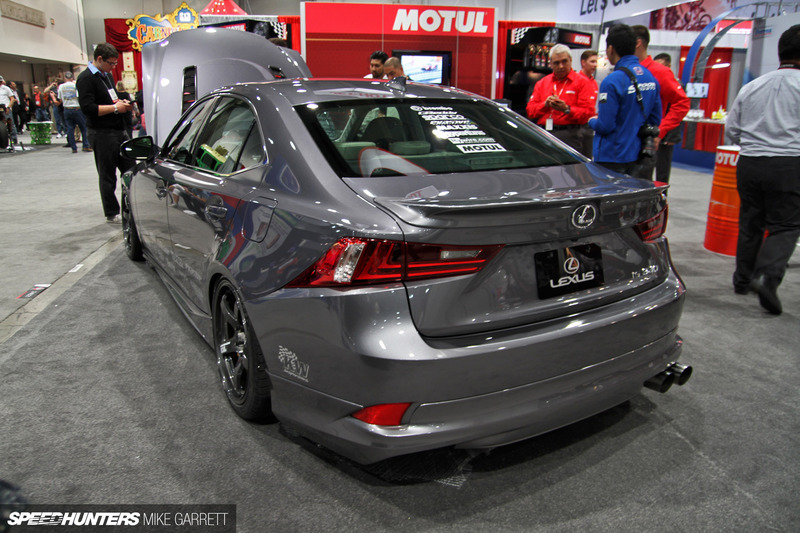 Budd19 apex_DNA wheatgod Not in Camry's case...it'd better off as FWD touring car racer than anything. 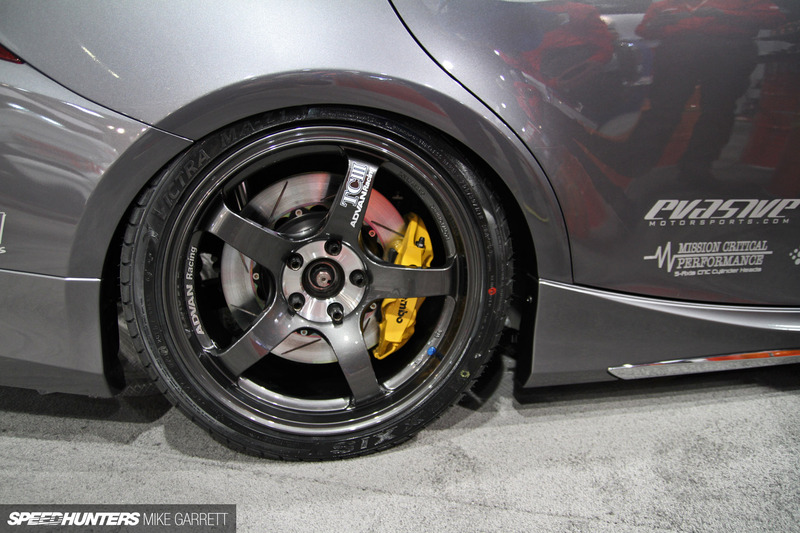 It's the brushed/natural ali finish on the BRZ's wheels that does it. kphillips9936 Agreed. Please SH, follow this one! kphillips9936 I wanna see it doing awe drifts. It's already doing them in my head.